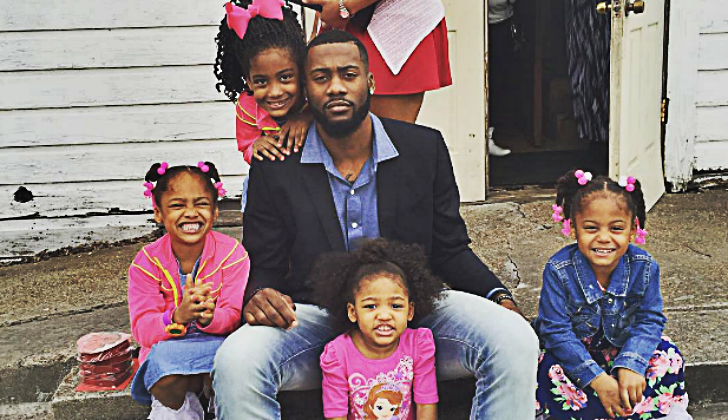 Jonathon Simmons is an American professional Basketball player who plays in the National Basketball Association (NBA). As of 2018, Jonathon Calvin Simmons currently plays for the Orlando Magic as their Shooting guard / Small forward. Jonathon Calvin Simmons has played for other teams like Sugar Land Legends, Austin Toros/Spurs, and San Antonio Spurs. As a Shooting guard / Small forward, Jonathon Calvin Simmons reportedly earns around $6,666,667 as his yearly salary from Orlando Magic. Further, Jonathon Calvin Simmons has an estimated net worth of over $5 million. Jonathon Calvin Simmons was born on September 14, 1989, in Houston, Texas to parents Michael Sean and LaTonya Simmons. As per his nationality, he is American and belongs to African ethnic group. Further, his star sign is Virgo. He grew up along with his siblings, Joi Simmons. Jonathon Calvin Simmons attended M.B. Smiley High School in Houston, Texas where he played for his high school basketball team. After his high school, Simmons spent his freshman college season playing for Paris Junior College in 2008–09, averaging 12.2 points and 3 rebounds per game. Later as a junior at Houston, he averaged 14.7 points, 5.0 rebounds and 2.2 assists per game. As of 2018, Jonathon Calvin Simmons has an estimated net worth of over $5 million. He reportedly signed a 3-year contract with Orlando Magic in 2017. Further, the NBA player has an average salary of $6,666,667 annually, including $13,300,000 guaranteed. In 2018-19, Simmons earned a basic salary of $6 million, with a cap hit of $6 million and a dead cap of $7 million. Simmons so far has made earnings of $13,699,729 from his entire NBA career. In addition, he is the 7th best-paid player of Orlando Magic standing behind Terrence Ross and D.J. Augustin. Further, he will reportedly earn $5,700,000 for 2019/2020 season. Despite receiving several pre-draft workouts with different NBA teams, Simmons went undrafted in the 2012 NBA draft. In January 2013, he was selected by the Sugar Land Legends in the first round of the inaugural American Basketball League (ABL). In September 2013, Simmons tried for the NBA Development League team Austin Toros and eventually made a place in training camp roster. On 29 June 2015, Simmons was named to compete in Orlando and Las Vegas in the Summer League from Brooklyn Nets and eventually was invited by the San Antonio Spurs for Summer League in Las Vegas. On 15 July 2017, Simmons signed a $20 million three-year contract with Orlando Magic. In addition, he wears jersey no 17 playing along with Aaron Gordon, Evan Fournier, Timofey Mozgov and many more. InitiallyJonathon, Simmons was in a relationship with Courtney Holt. The pair started dating from 2008. Further, he has three daughters, Jaeda, Journey and Jordynn from the relationship. Simmons was later in a relationship with Briana Monique Mouttet. The couple began dating from 2012 and further, he has a daughter named Brielle from this relationship. The Famous NBA star is 6 feet 6 inch in height and weighs around 88kg. Jonathon is not only a world-class athlete but also is a very attractive individual. Other than being a famous NBA Shooting guard / Small forward, Jonathon Calvin Simmons is pretty famous in social media.